The UK’s first Partner University for UN Habitat, the agency which deals with human settlement and development. PCL gained University status in 1992, bringing the right to award its own degrees and to participate in publicly funded research. Today’s University, with 22,000 students, is far bigger than its predecessors and is structured into four campuses – Cavendish, Harrow, Marylebone and Regent. 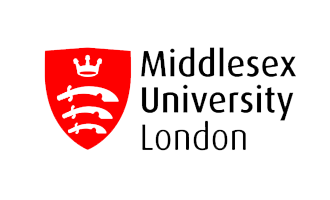 Our expanding overseas activity has resulted in the University being awarded the Queen’s Award for Enterprise in 2000 and again in 2005.” – University of Westminster website. “BPP University’s aims are to promote excellence in professional education by being forward-thinking, progressive and innovative, to bridge the gap between education and professional practice, to inspire and challenge tomorrow’s business and professional people in a supportive learning environment. We are dedicated to preparing you for a professional career. We offer a strong commercial approach, within a business culture designed to help you stand out in the workplace after you graduate. Our programmes are designed in partnership with employers and respected professionals in the fields of law, business, finance and health.”– BPP University website. BPP is well-known in the UK for being ACCA main provider (Accounting and Finance) as well as one of the most prestigious professional bar training (Law) institutes. BPP University was first approved to have degree awarding powersby the Quality Assurance Agency (QAA) for Higher Education in the United Kingdom, which acts on behalf of the Privy Council in 2007. The university was voted as the UK’s Best Higher Education Provider by Education Investor Magazine in 2013. It prepares students for professional career by bringing in tutors who have real-world practitioner experience who teach students practical skills as well as the required academic knowledge for their success. “We are a forward-looking, modern university with a proud tradition as a provider of high quality education and a focus on applied research. Through our links with leading edge businesses and organisations in the public and voluntary sectors, our students are able to access project and placement opportunities that enhance their employability on graduation.” – Coventry University website. Coventry University has a long tradition as an education provider. It started in 1843 as Coventry College of Design, going through all changes and mergers with other colleges and finally was set up under UK government legislation in 1992. The university is ranked 12th in the whole of UK (The Guardian University Guide 2018) and top 1st UK’s Top New University 2018 (Complete University Guide 2018). It is awarded Gold for outstanding Teaching and Learning (Teaching Excellence Framework 2017). It has a wide range of courses from undergraduate level to research degree including Business, Law, Engineering, Biological and Chemistry Sciences, Health and many more. “The University of Bedfordshire is a modern, innovative university with a heritage of top quality education going back more than 100 years. We nurture our students to become educated, employable and entrepreneurial global citizens. We support our students in all aspects of their life and encourage them to influence the education and services we provide. 92% of Bedfordshire students who graduated last year have found jobs or are in further study – the highest figure achieved by the University (Destination of Leavers of Higher Education (DLHE)2013 survey). DLHE 2013 also shows the number of Bedfordshire students who left the University last year and are now in graduate level employment – professional and managerial roles – increased, by over 8% to 73.5%.” – University of Bedfordshire website. “With around 24,000 students from 80 countries, Birmingham City University is a large, diverse and increasingly popular place to study. We put students at the heart of everything we do, giving them the best opportunities for future success. Our superb courses, state-of-the-art facilities, first-rate staff, and focus on practical skills and professional relevance is producing some of the country’s most employable graduates.” – Birmingham City University website. The university can be traced back to its origins as Birmingham College of Arts in 1843. By 1971, the college joined with other four to form The City of Birmingham Polytechnic, the first name for Birmingham City University. By 2012, it had received two consecutive year recognition for its excellence in a range of services and activities by Times Higher Education. “Northumbria University has been highly ranked in a range of categories that students think are important to their university experience as a whole. Student satisfaction, employability, sporting achievements and international recruitment are all areas where Northumbria University scores highly in comparison to other institutions. In 2015 the University’s Student Support and Wellbeing team were awarded the Times Higher Education Leadership and Management award in recognition for the excellence of support offered. Northumbria University’s business faculty (Newcastle Business School) is in the top 1% worldwide after being awarded the double AACSB accreditation, demonstrating the high standard of our business courses. We take pride in offering a high quality learning experience to all our students and being accredited helps you to trust in the quality of teaching that you receive while you study with us. If you join us, you will find that you are on a fast track that’s designed to take your talent into the world of employment. 94% of Northumbria University students are in work or further study 6 months after graduation and the University is ranked 7th in the UK for the number of graduates in professional employment. The University is also number 1 in the UK for graduate start-ups (based on estimated turnover).” – Northumbria University website. “As Northern Ireland’s civic university, Ulster University is grounded in the heart of the community and strives to make a lasting contribution to society as a whole. Renowned for its world-class teaching, Ulster aims to transform lives, stretch minds and develop the skills required by a growing economy. The outcomes of our research have global significance with local relevance, and contribute to the social, economic and cultural betterment of our region. Ulster University is now listed in the prestigious Times Higher Education ranking of the top 150 universities under 50 years old. Students at Ulster University are among the most satisfied in the UK according to the most recent National Student Survey, in which the University achieved 88% on the overall satisfaction score. Ulster University was awarded a coveted THE Award 2016 for ‘Most Improved Student Experience’, based on the results of a survey which polled 15,000 students across the UK. Ulster University invests £42 million in research and innovation programmes each year. Ulster University has an alumni network of over 160,000 alumni in 148 countries worldwide. Over 90% of Ulster University graduates have gone into work or further study within six months of graduating. The 2014 Research Excellence Framework identified Ulster University as one of the top 25% of UK universities for world-leading research, based on research power OR 72% of Ulster University’s research activity judged to be world leading or internationally excellent.” – Ulster University website. There is a wide range of courses from Business Management to Software Development for all levels of study. “With more than 600 courses on offer, at undergraduate, postgraduate, professional and short course level, we offer a broad range of subjects across the arts, creative industries, health, science, business, law, environment and technology disciplines. We are well known for the quality of our teaching, and for our student experience as a whole. UWE has connections with over 1000 employers that enable their courses to be up-to-dated with industry and professional needs. UWE Bristol consistently outperforms the HE sector for % of graduates in professional/managerial jobs after 6 months. This year it is 77.5% compared to 71%. Source: HESA Destinations of Leavers for Higher Education published 2016. 95.6% of UWE Bristol graduates are in work or further study six months after graduating. Figures extracted from the HESA Destinations of Leavers for Higher Education, published 2016. 99.1% of UWE Bristol graduates are in employment or further study 3 ½ years after graduation, compared to the national average of 97%. Source: Destinations of Leavers from Higher Education Longitudinal Survey published 2015. More than 8,952 placements were undertaken in 2015/16. 6,332 organisations and employers have advertised one or more opportunities with UWE Bristol for placements, jobs and internships in the last year. 170 funded internships were undertaken by UWE Bristol students in 2015/16. Last year 127 graduates either started their own business or were self-employed within six months of graduating. UWE Bristol runs the largest graduate fair in the South West. 451 employers visited UWE Bristol to take part in recruitment events in 2015/16.” – UWE website. 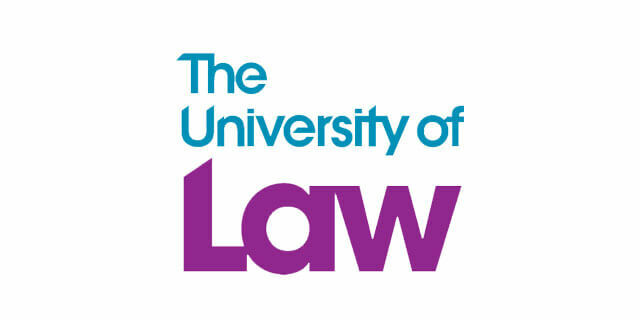 “The University of Law is the UK’s longest-established specialist provider of legal education. In fact, we’ve trained more lawyers than anyone else. We can trace our origins to 1876 with the formation of leading tutorial firm Gibson & Weldon. With a rich heritage and a reputation for innovation and contemporary teaching practices, we continuously focus on developing the best legal minds.” – University of Law website. The university ranked as 1st for Student Satisfaction in National Student Survey in 2016. In 2017, it was awarded Gold for Teaching Excellence Framework. University of Law also concerns about students employability. That results in their own portal for students to search and apply for legal vacancies which are directly advertised by the legal firms in the UK. With a network of over 64,000 alumni from across the globe, the university provides a portal for the graduated students to stay connected and to take advantage of fast growing network of young, successful lawyers, solicitors and other professionals. 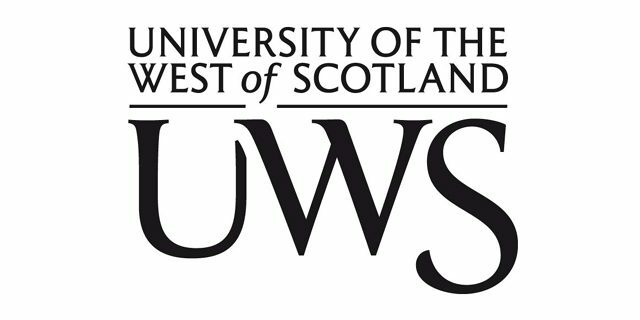 “University of the West of Scotland is one of the country’s largest modern universities, and aims to have a transformational influence on the economic, social and cultural development of the West of Scotland, and beyond.The university provides relevant, high quality, inclusive higher education and innovative and useful research. UWS is an international university with over 1400 international students drawn from more than 70 countries across the globe, and we work with over 100 international partners.” – UWS website. At least 91% of graduates from UWS (from various disciplines) secured a job or continued their studies within 6 months of graduation. The number rose to 100% for education graduates. (Figures based on Higher Education Statistics Agency Employment Indicators 2014/15). There are 6 schools in the university specialising in different fields, ranging from Business and Enterprise to Education, Engineering and Computing, to Health, to Media and Science and Sport (details please find on UWS website). The university is well-known for its superb researches including tsetse fly, stents (tiny artificial tubes for keeping open damaged arteries) that can deliver drugs more effectively into the bloodstream, and bomb disposal robot (collaborates with an UK engineering company). It works with several regional and international colleges to help meeting the rising demand for higher education in the UK and international. The large network of alumni also helps Greenwich’s graduates in seeking to broaden their networks as well as getting advices from other alumni. The university is currently providing courses in the various disciplines ranging from Architecture to Business, from Engineering to Social Sciences and many more. More details please look at University of Greenwich website. “At the University of Roehampton, we offer a first-class educational experience, designed to help you reach your full potential and get the career you want. You don’t have to take our word for it; we are ranked the best modern university in London according to the Complete University Guide 2017. Once you join us, you will become part of a welcoming community with students from across the world and from all types of backgrounds, taught by staff engaged in world-leading research. You’ll join a university with a 175-year history in providing higher education. We will help you become a successful graduate that employers value: a confident, critical thinker, able to adapt to a changing world, and with an on-going passion for your subject. At Roehampton, we provide a wide range of opportunities for you to get involved, through volunteering, playing sport or music, or joining one of our many active student societies. We also have a beautiful parkland campus, in the heart of south-west London.” – University of Roehampton website. Founded in 1884, Bangor University has a long tradition of academic excellence and a strong focus on the student experience. Around 11,000 students currently study at the University, with 650 teaching staff based within 23 Academic Schools. The most recent National Student Survey (NSS) results place Bangor amongst the UK’s top 10 universities for student satisfaction (excluding specialist institutions). Bangor University has achieved a Gold Award, the highest rating possible, in the national Teaching Excellence Framework (TEF). Bangor University is the only university in Wales to achieve this standard. The TEF assessment considered teaching quality, learning environment and student outcomes and learning gain. We were judged to deliver consistently outstanding teaching, learning and outcomes for our students and our teaching is of the highest quality found in the UK. Bangor University offers hundreds of courses across the arts and the sciences. The university prides itself on the quality of teaching and courses and lecturers on which the University was rated third in the UK at the What Uni Student Choice Awards 2017. Dundee was Scottish University of the Year 2016 and 2017 and rated number one in Scotland for student experience, six years running. But it’s not just at home that the University is building an exceptional reputation. University of Dundee is consistently at the top end in world rankings, and firmly in the global top 200. In 2016, Times Higher Education ranked us in the world’s top 20 universities under 50 years old. Dundee has always been a hard-working city, and the university is equally happy to roll up its sleeves and get busy. The university is known for practical disciplines like law, architecture, biomedical sciences and design. More theoretical subjects like philosophy and astrophysics are here too – but whatever you study, as one of Dundee graduates you’ll be well set for the jobs market. Scotland has ancient universities and new institutions, all with their own strengths and specialisations. Dundee is a little different from the rest. The university became an independent university fifty years ago, bringing several much older schools and colleges together. Dundee may not be steeped in tradition, but has been around long enough to earn serious international respect for teaching and research. At Dundee, you get the best of old and new in one great university. University of Dundee is also ranked among Europe’s most innovative universities, coming out top in the UK in the Nature Innovation Index 2017 and in the top five among Reuters’ `Most Innovative Universities’ behind only Cambridge, Imperial, Oxford and Manchester. In the main UK league tables, the university has recorded an average rise of 20 places over the past three years and are in the top 30 for each of them – The Sunday Times Good University Guide, The Guardian University Guide and The Complete University Guide. In addition, the University of Dundee is one of the UK’s top-rated universities for student experience and graduate employment, making Dundee one of the best places to study in the United Kingdom. De Montford University has been named as one of the 150 best young universities in the world by the influential Times Higher Education magazine and is in the Top 10 of most popular universities in the UK for home and EU students, as measured by UCAS acceptances in 2016. The university enriches studies, broadens cultural horizons and develops key skills valued by employers. It gives all DMU students the opportunity for an international experience while they study, with 11,000 students set to take part in the programme by 2020. Thousands recently took part in epic adventures in New York and Berlin. DMU is also in the top 3% of 18,000 universities worldwide- Times Higher Education World University Rankings 2015-2016. The university is also rated No. 1 for graduate employability (Times higher Education Magazine). DMU is committed to providing its students with an amazing experience by acting on their feedback. Recent significant results include the opening of the library 24/7 and 365 days of the year, enhanced IT support and electronic submissions of all dissertations. DMU is an official partner of Premier League club Leicester City, a deal which brings hundreds of opportunities for students. The £136 million reimagining of the campus at De Montfort University Leicester (DMU) has created the modern, inspiring environment students deserve and shows the universities confidence in delivering excellent quality education. That confidence is further strengthened by achieving the highest possible Gold standard in the 2017 Teaching Excellence Framework (TEF), putting DMU in the top third of universities. This is the only Government-run measure of teaching quality in higher education and the award underlines the outstanding learning and teaching on offer at DMU. If your English needs improving, you can join one of the university’s English courses to prepare you for studying in English.